KEKAHA, Kauai » The tiny Kauai creeper, a rare, 4-inch-tall bird, is still trying to get on the endangered species list as its numbers have dwindled to 1,500 worldwide. The Kauai creeper, also called the akikiki, is threatened by habitat loss, avian disease and non-native mammals. 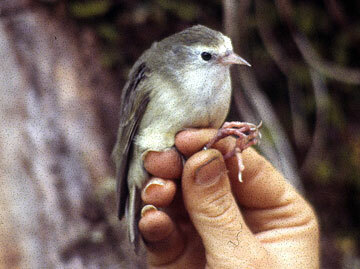 It is found only on Kauai, and it has been listed as a top candidate for the endangered species list since 1994, according to the U.S. Fish and Wildlife Service. Getting on the endangered species list would provide more money for scientists to study the warblerlike bird and implement recovery plans. "Money is our main limiting factor in all of this," said Dave Leonard, a biologist for the Hawaii Division of Forestry and Wildlife. 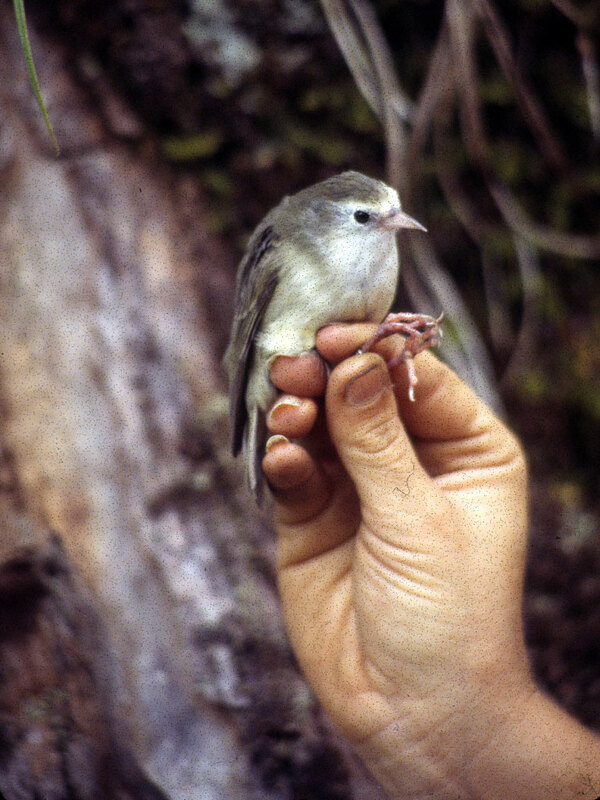 The Kauai creeper is limited to about 14 square miles on the eastern part of the Alakai Swamp. Diseases like avian pox and malaria have hit the Kauai creeper hard because it has no evolutionary history of fighting them off, Leonard said. Increasing temperatures also endanger the bird as mosquito populations increase, said Jay Nelson, a lead biologist for the U.S. Fish and Wildlife Service. Scientists have suggested fencing portions of the Alakai Swamp to rid non-native mammals or using aerial applications of rodenticides, Leonard said. President Bush has added 60 species to the endangered list, compared with about 550 by former President Bill Clinton and 256 by former President George H.W. Bush, according to Fish and Wildlife estimates.